Very few exercises burn calories like jump rope. Even jumping at a very moderate rate burns 10 to 16 calories a minute. Work your jump rope exercise into three 10-minute rounds and you’re looking at 480 calories in half an hour. According to Science Daily, 10 minutes of skipping rope is about equivalent to running an 8-minute-mile. There’s a reason the American Heart Association created an entire movement around jumping rope. Want to get “lighter on your feet?” Skip rope every day for a few minutes. When you jump rope on the balls of your feet, body connects with mind to make “neural muscular adjustments” to keep you balanced. Essentially, skipping rope improves your balance and quickness/coordination by making your mind focus on your feet for sustained periods of time, even if you’re not conscious of it. Boxers know this. Why do you think jumping rope is a favorite exercise for the best boxers in the world? The medium impact of jumping rope increases bone density, but isn’t as hard on your joints as running because the impact of each jump is absorbed by both legs. In fact, according to Dr. Daniel W. Barry, a researcher who has studied the bones of the elderly and of athletes, the latest studies show simply jumping is one of the very best exercises for improving bone density. We know that exercise (even as little as 20 minutes) is good for the brain. But did you know that activities with BOTH physical and mental demands (like ballroom dancing or jumping rope) have higher impacts on cognitive functioning than exercise tasks alone (like the treadmill or stationary bike). Turns out the very best workouts for brain health involve coordination, rhythm, and strategy. 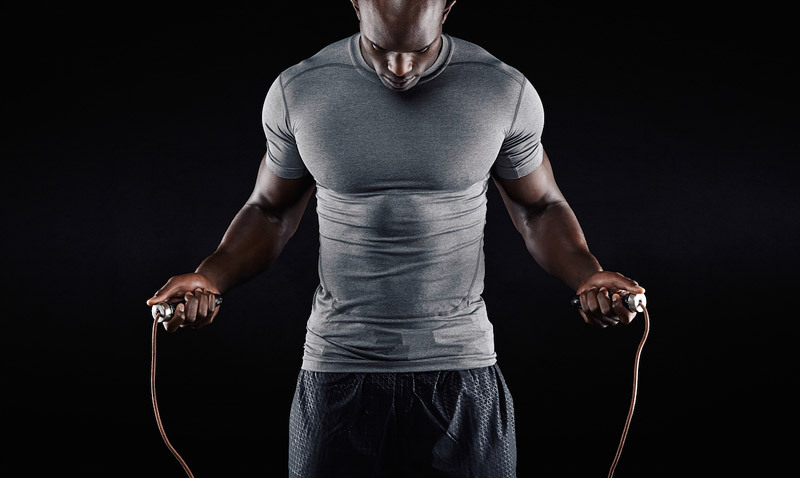 So the next time you’re jumping rope, challenge yourself to try some jump rope tricks. Turns out they’re really good for your brain. According to the American College of Sports Medicine, skipping rope is highly recommended for aerobic conditioning. In order to increase your heart and lung health you must do it three to five times per week for 12 to 20 minutes at a time. 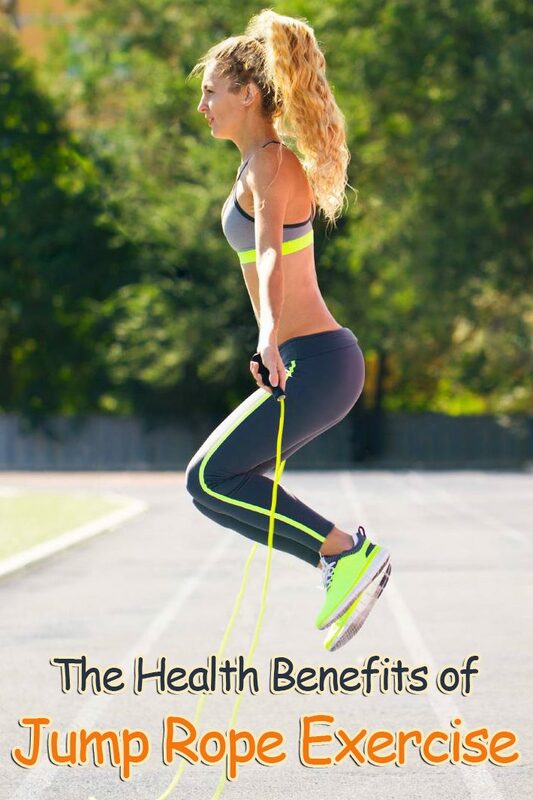 Jumping rope also improves how efficiently you breathe. This becomes very beneficial when doing other activities because you won’t be as out of breath after running down the court or swimming laps in the pool. Of all the fitness options out there, rope jumping is still one of the most affordable. Shoot, even runners need to fork it over for high end shoes. But jump ropes? Even a top-of-the-line fitness jump rope is only $15. Very simple (but good) ropes can be purchased for as low as $3. And, depending on the surface you jump on, a rope should last you a while. A jump rope can go anywhere with you. Take it to work, take it to school. Warm up before your basketball game or cool down after a bike ride. Learn to do tricks and double dutch with your kids or have competitions between you and your family — how long, how low you can jump, how high, spinning — all kinds of tricks can be done with a jump rope. ← Why Do People Make New Year’s Resolutions?